Held in October in Jodhpur, this annual, event attempts to showcase the art culture of the Jodhpur region. It ids devoted almost exclusively to song and dances, and the Maand Festival has become a part of this huge region celebration. Set at the edge of the Thar desert, the imperial city of Jodhpur echoes with tales of antiquity in the emptiness of the desert. Once the capital of the Marwar state, it was founded in 1459 A.D. by Rao Jodha-chief of the Rathore clan of Rajputs who claimed to be descendants of Rama - the epic hero of the Ramayana. 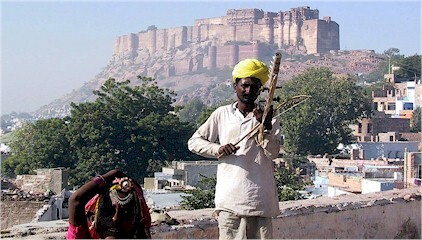 The massive 15th century A.D. Mehrangarh Fort looms on the top of a rocky hill, soaring 125 Mts. Above the plains. The city is encompassed by a high wall -10 km long with 8 gates and innumerable bastions. 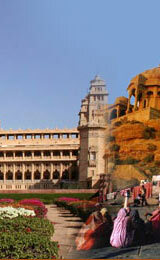 A major trade centre of the 16th century A.D. the fortress-city of Jodhpur is now the second largest city of Rajasthan. 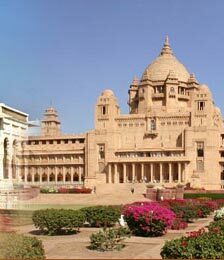 Jodhpur is well connected to all the major cities which includes Delhi, Mumbai, Calcutta, Jaipur, Udaipur. 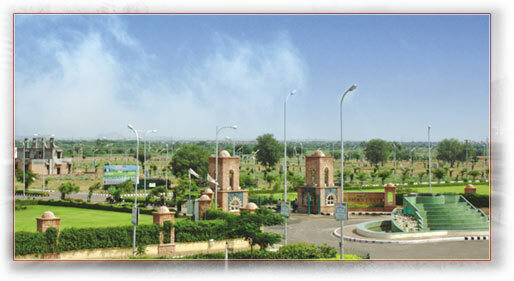 Rajasthan Roadways run very comfortable deluxe & air conditioned buses from Delhi (Bikaner House, Nr. India Gate) to Jodhpur. The roads are very good, and it takes around 8-9 hrs from Jodhpur. You can also come by taxi. 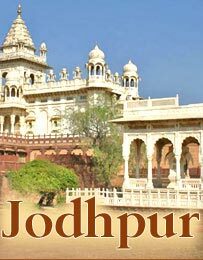 Jodhpur is on the Broad Gauge and hence connected to all the metro cities of India. There are daily trains from Jaipur, Delhi, Mumbai & Kolkata. In the city you can travel by un-metered auto-rickshaws, buses, cycle-rickshaws or you can also use car cabs and car-taxi. 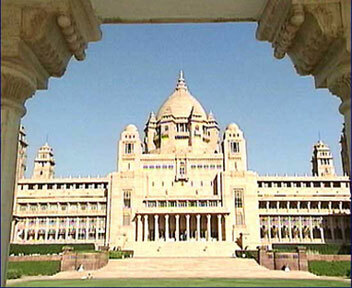 The Rajasthan Tourism Development Corporation operates of Jodhpur from 8.30 to 1.00 pm and 2 to 6 pm. The tour starts from the Tourist Bungalow.